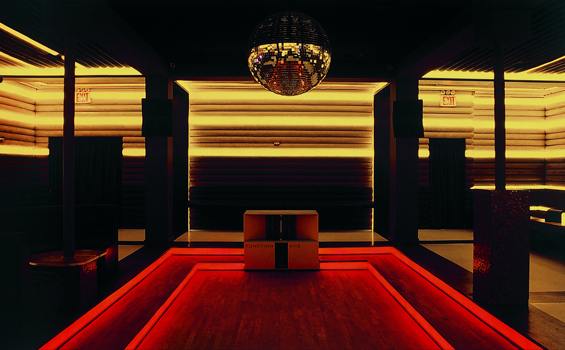 Cielo is a longtime Meatpacking District favorite that sets itself apart from other nightlife venues by not having the hassles of a large club or being bothered with ropes, checkpoints or rules for their non existing VIP rooms. It�s a place for mature adults, the Wall Street types in untucked button-downs, to enjoy the worlds best DJs and a great sound system pumping house and techno beats. Grammy award winning Louie Vegas brings house-music from all over the world creating energy from the underground scene reminiscent of Shelter and Sound Factory Bar. The packed sunken dance floor is located in the center of the club, surrounded by banquettes decked out in brown and beige suede. There is also a smoking patio out back.